I found this site with what I guess are DEPO's? Any information/knowledge or advice would be greatly appreciated! Retros have a much better light output than the projectors you find on eBay. meant to run standard halogen bulbs not hids. You can run hids in them put they are no where near as nice as projectors. I posted a thread with halo projectors vs retros and both have hids in them and you can see the difference between the two. where can you find the real projectors, can you post a website? 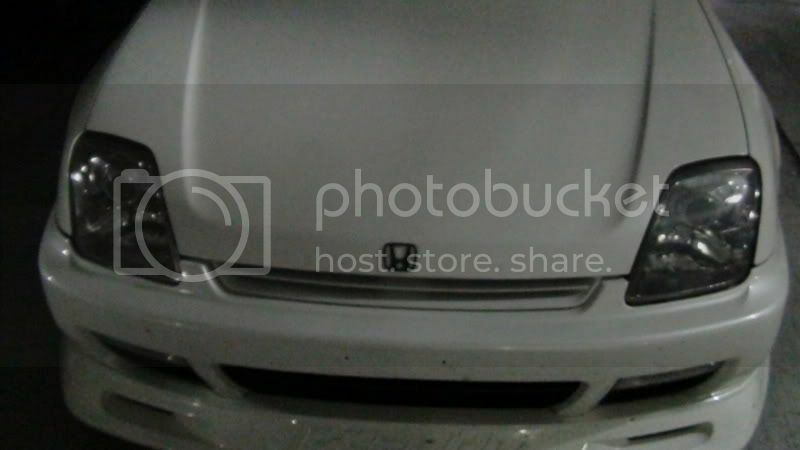 first picture is halo headlights second is retros done by prelude1897 a member on this site. you can see how drastic the difference the light output is. Last edited by cajunoutkast; 02-08-2012 at 12:31 AM. Would love to give this a try thinking about ordering a second set of stock headlights to experiment! Uh oh, my ears started to tingle cause I knew I was being talked about. I can definitely help out with doing a retrofit for you. As you can see above, there's a huge difference, so instead of wasting money buying the eBay halogen projector lights, do it right the first time and have a retrofit built. Jesus that first website you posted was completely overpriced. I would definitely get with prelude1897 and get some retro's. Ive heard plenty of ppl say that retros were their favorite mod they had ever done to their car. So the retrofits are just for the low beams correct? No you can get bi-xenon which will work as both high and low. You just won't have a bulb In the lower light bowl anymore. nice! Really appreciate all the info! With a bi-xenon projector, you can still run your stock high beam, you just simply tap the wires from to Projectors to your high beam harness as well as plug them up to the bulb. best thing to do is just buy new black depo lights and send those out to get retrofitted. So worth it i wish i did that when i sent mine in..
Prelude1897 has everything needed to do the retros. You can get new headlights or you can see if he can sand and reclear your headlights while he is doing the retros. As for as price you have a couple of different option you can go with so I will let him handle that part. If you need new headlights I know when I was talking do him he told me that he could get a shop by him to order the depo to help save me on shipping. Really great guy to do business with answered all my question I had highly recommend him. Yes well worth the money. One of if not the best mod I have done so far. Both pictures were taken with the same camera. I tried to park in the same spot so you could see the true difference between the two. I mark the spot in back of the building so I could get as close as possible to where the first picture was taken. Im just reading through this thread and with the research Ive done, retro seems to be the best way to go. $$$ .. it is what it is, but I want to do it right the first time. If I were interested in having you(Prelude1897) retrofit and re-clear my lenses, How long does this kind of project take you? I'm waiting to get my Depo black retroffited with F-XR bi xenon, I saw the results and it really improve big time the night driving. It's costly though.